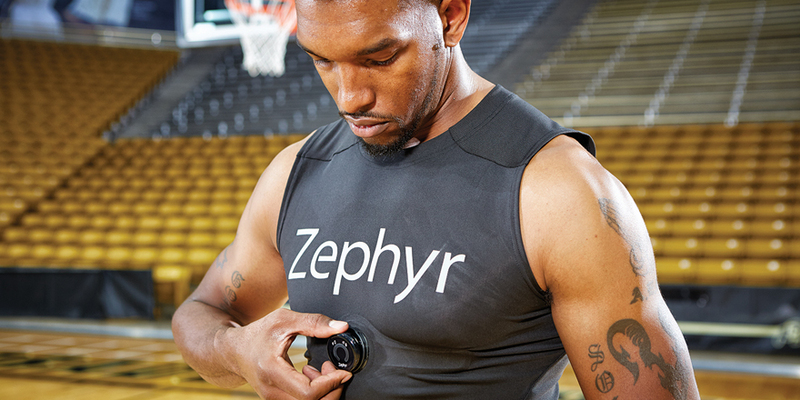 Utilize Zephyr™ Performance Systems to suit your needs. The tools and information you need to enhance Zephyr™ Performance Systems are right here. Whether you want to focus on consumers or professional users, you’ll find APIs, SDKs, scripts, spreadsheets, and more. SDKs can be purchased and downloaded, but to obtain other tools, please contact a Zephyr™ representative. The SDKs are documented and supported products, but other tools may be pre-release versions or may not be intended for release. For these tools, documentation and support may be limited or unavailable. Questions? Please speak to a Zephyr™ representative. HxM Smart uses standard Bluetooth Low Energy (BTLE) heart rate monitoring profiles. Compatible devices include iPhone 4S (Bluetooth 4.0) or later and certain Android devices. The SDK comes with documentation for custom packet support, which includes respiration rate (RR) activity, peak acceleration, over-the-air firmware update capability and more. This tool provides MATLAB users with easy access to key information stored in the BioModule™. Download data from a BioModule™ onto a workstation using the BioModule™ log downloader or Zephyr™ downloader (requires OmniSense™ Software). You can use the data, which is stored in .csv and/or .dat/.hed formats, as input to a script you use to gain access to the data. Load the electrocardiogram (ECG) file and general data packet file (requires .csv format). Load the ECG, summary data packet and RR file (requires .csv format and summary [load summary only]) or summary and waveform logging (full). Load the RR packet file (requires summary and waveform log .csv format). Load and display with GUI interactive plots with ECG and summary or general data packet files (requires you to download both .csv and .dat/.hed (DADiSP) formats for ECG viewing). Also, sample data (seven minutes sitting down stationary) is available, and it works with any of the above scripts downloaded from the BioModule™ (BioHarness™) 3.0 logging summary and waveform log format. Please follow the instructions for installation that are included with the driver. This tool allows you to plot any data from .csv files, zoom in and out and plot multiple traces in the same view. It’s ideal for viewing high-resolution waveform data such as ECG, accelerometry, and breathing waveform. Supporting documentation is not yet available. With this tool, you can measure the time interval between heartbeats or cardio intervals. The usual measurement is the variation in the beat-to-beat interval rather than the variation in the instantaneous heart rate. This tool helps you receive “day/month/year hour.minute.second.milisecond” formatting from a Zephyr™ .csv file in Microsoft Excel. This tool converts R-R interval data from the time-stamped .csv format produced by Zephyr™ devices into a format that can be used by Kubios HRV, HRVAS, and other heart rate variability (HRV) analysis tools.